As we enter the age of Artificial Intelligence, we now must decide whether relinquishing privacy is a worthwhile price for the convenience AI can provide. From adjusting the thermostat based on the number of people in a room to alerting us to movement in our yards, we’ve invited AI-enhanced technology into our lives and into our homes to handle a range of tasks. But these relatively mundane uses barely scratch the surface of the true impact AI can have on our lives. 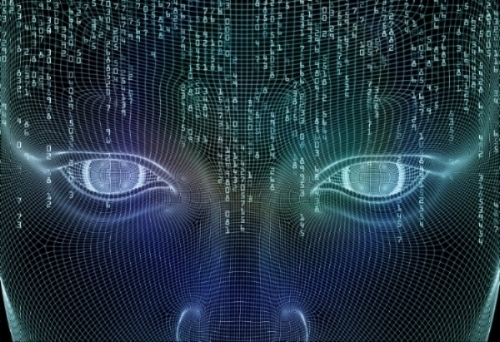 AI has the potential to be applied to far more critical matters – matters of life or death. I’ve seen AI-enhanced technology deliver life-saving monitoring care for the elderly while giving them the dignity of living with independence. I’ve also seen it fall short because batteries failed when they were needed most, as happened to my mother-in-law. Through that experience, one filled with both great possibility and devastating loss, I reexamined what role AI could – and should – play in healthcare. The reality we face today is that increasing healthcare costs and rising demand for healthcare have created a need for disruption and innovation in how we care for the sick and elderly. AI-enhanced technologies offer solutions that can augment or replace traditional healthcare methods with greater efficiency and reduced costs. And their value extends even further, providing those in need of care with options that preserve their independence, dignity, and even privacy. The healthcare needs of people over 65 are distinct from the younger population, tending to require long-term care or supervision for chronic conditions rather than short-term treatment for acute ailments. Patients suffering from dementia, for example, may be otherwise physically healthy but must be monitored constantly to protect them from wandering into dangerous areas. Even the relatively healthy and active elderly population must contend with the potential for minor falls – one of the most common injuries among the elderly – to trigger a cascade of subsequent debilitating injuries. Currently, the prevailing remedy to preempt or prevent any age-associated issues entails moving the individual to a facility where they can be supervised. Beyond the expense of long-term residence at specialized facilities or fulltime caregivers, these options can feel like they rob individuals of their independence, dignity, and especially privacy. The financial and emotional strain extends beyond the patients themselves to the caregivers, in many cases immediate or extended family. More than half of caregivers suffer from mental or physical problems themselves. Many also endure loss of income while facing increased costs associated with the care. The good news is that we’re beginning to see innovation that can provide alternative options beyond the expensive one-size-fits-all assisted care facility. Patient monitoring wearables, which can track a person to prevent elopement or offer the ability to send a distress signal, are widely available though limited in their capabilities. Japan’s rapidly aging population and diminishing number of younger people, who historically cared for their elderly relatives, has driven research into home assistance robots – some built to perform tasks made with a humanoid design and others oriented toward companionship that take the form of a dog or other pet. We also have a wealth of technology now that could be adapted to help the elderly safely live independent lives at much lower costs than fulltime caregiving alternatives. For starters, AI-enabled devices such as Google Home, Amazon Echo, Apple’s Siri, etc. could identify signs of distress, such as choking, and act accordingly, including contacting family members, medical providers, or emergency services depending on context. These devices could even listen for signs of emotional distress and simply strike up a conversation to ease loneliness or offer to contact friends or family. Google, Amazon, and others are rolling out smart home video cameras that can use face recognition and sense motion to perform home surveillance and other tasks. Researchers are also developing smart cameras that can recognize behavior. A Japanese system can identify signs of shoplifting from behavior observed by security cameras. Another is being trained to spot signs of violence in crowds, to include punching, kicking, choking, etc. Google already makes a DIY artificial intelligence camera kit called AIY that allows users to experiment with using AI to analyze video. These platforms could develop behavior recognition that uses both video and audio to identify signs of distress and medical emergency, such as a person lying on the floor, sudden movements from falls or impacts, or signs of a stroke or heart attack. A deeper application of AI-enabled devices has recently expanded into the field of biomechanics. Industrial exoskeletons are being modified to assist the elderly in lieu of walkers, canes, or even wheelchairs, thus restoring mobility and independence without the infrastructure and costly home modifications typically required. For those with moderate mobility issues, a “smart walker” could use exoskeleton technology like gyroscopic stabilization to move independently while providing a stable brace for the user when necessary, like a companion walking alongside them with a steadying hand on their arm. These are only a small handful of the AI-enhanced technologies in development that could have significant applications in healthcare. Now is the time to tap into emerging AI technologies from all areas of industry to find viable solutions to our rapidly growing healthcare needs and alleviate the burden on patients, caregivers, and an overloaded healthcare system. While any AI-enhanced care option will entail privacy concerns, most actually allow for a much greater degree of privacy and independence than the alternative full-time care approaches, which include monitoring by a caregiver or human-observed cameras in their private spaces. And while there is no substitute for care and attention from loved ones, even the most available and attentive family members have finite limits to their attention-span and bandwidth. How far we will accept the assistance of AI in this effort is yet to be determined, but it is certainly poised to be a major disruptor in a healthcare industry starved for innovation.